In this video he carves a simple but elegant spoon. 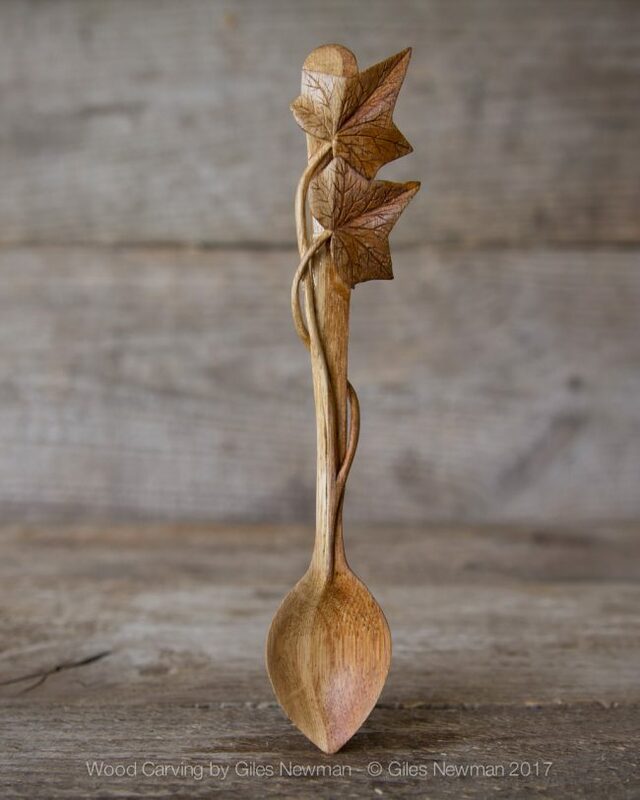 Carving spoons is a really relaxing and addictive hobby. At first your spoons will be kinda thick. But eventually you will be able to carve elegant smooth spoons. Just be careful when carving, because those carving knives are sharp. If possible cut away from yourself. Be warned if you use wet wood like he does here, there is a chance that the project may crack as it dries. This is what it looks like if you get really good at it.